CWI Gifts Christmas Lantern. You are going to love our new Christmas Lantern, it will add holiday charm to your home! 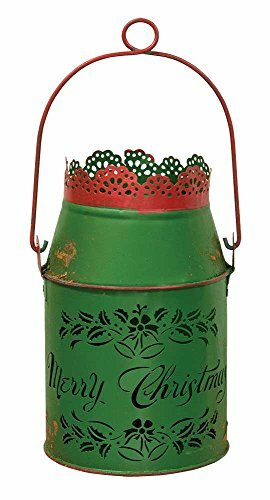 This metal lantern has holly and eyelet intricate cutouts that add detail along with "Merry Christmas" in a beautiful script. The inside of the lantern has a built-in candle holder that will hold a tea light. It is 81/2" high with a51/4"diameter not including the handle. Display on a shelf or hang by the convenient handle. We added a battery operated 1-3/4" diameter.